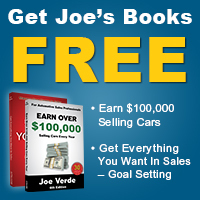 • More salespeople are millionaires than physicians. • 70% of self-talk (what you tell yourself) is negative and huddle talk is even worse. • We spend over 11 hours per day watching, reading or interacting online or on TV (2 hours & 15 minutes of that is on social media). We check our phones over 80 times per day and spend another 3 hours and 35 minutes there. In total, we spend over 200 (24 hour) days per year online in some form. • To make more money, stay in sales! • Run from negative conversations as though your personal and financial future is at risk, which it is. • Spend less time online and on the phone, and turn off the TV! • Involve yourself with positive people and activities and read or listen to something positive every day instead. 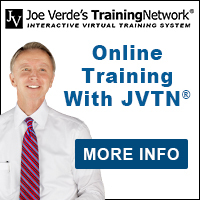 • Spend at least 30 minutes 4 x per week on car sales training and to take the online courses on JVTN® to develop your sales skills.